At the 44th ECOC, R&M has presented a study on the development of innovative parallel optical connectors called QXB. In these connectors, fused silica lenses are responsible for the transmission of light between the optical fibers. R&M, the globally active developer and provider of cabling systems for high-quality network infrastructures, based in Wetzikon, Switzerland, is researching expanded beam technology together, with Data Speed Control GmbH. The technology partners provided information on the QXB study at the 44th European Conference on Optical Communication (ECOC) held from September 23 to 27 in Rome, Italy (show stand 716). Data Speed Control is a data center services provider domiciled in Eisenberg, Germany. “The expanded beam technology would have a whole range of benefits for the installation, operation and maintenance of passive FO infrastructures,” explains Dr. Thomas Wellinger, Market Manager Data Center and Study Lead at R&M. The lenses made of high purity fused silica do away with the need for physical contact between the ends of the optical fibers. They form an array on the end face of the connector. One lens is assigned to every fiber. With multimode fibers, the beam can be increased sixteenfold, with single mode fibers sevenfold. The lenses have an anti-reflection coating. “With the development of the fused silica lenses, we are really pushing the physical limits of optical connectivity,” says Dr. Thomas Wellinger. In conventional FO connections, springs forcefully press the ends of the optical fibers together. This is the only way they can exchange the light signals with minimal attenuation loss. The contact surfaces have to be free of dust and aligned to the exact micrometer. All these requirements are a thing of the past with QXB. The cleaning of the contact surfaces would be superfluous as the light signals are transmitted without any physical contact. QXB connectors are inserted into the adapter without any force regardless of the number of fibers. This alleviates handling and takes the pressure off the housing. Visual inspections and the time-consuming search for transmission errors are also a thing of the past. The measured values of a connection remain stable once installed and tested, even if the connector has been unplugged and plugged back in again several times. 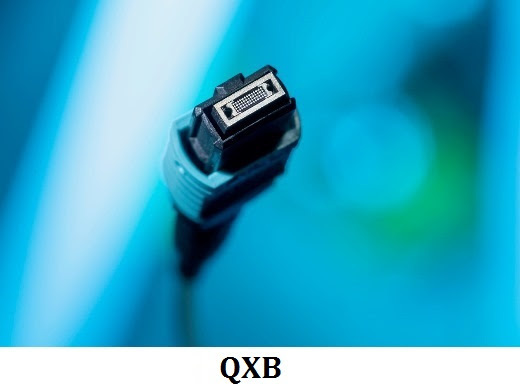 The QXB is like an MPO connector. It can be planned with 12, 24 and 32 parallel fibers. MPO connectors always have to be completely removed if an individual fiber has to be cleaned or tested. All links are then offline. The performance of the MPO links can be negatively impacted from the plugging in and unplugging. “You simply don’t have that problem with the QXB,” says Dr. Wellinger, and that means networks work much more reliably. R&M also highlights the benefits in terms of operating expenses. Alongside installation, recurring cleaning, inspection and measurements play a major role for FO connectors. They increase with the number of fibers thus inflating maintenance costs. With QXB, this cost factor does not even exist. “The QXB will facilitate the work of infrastructure and SAN managers in hyperscale data centers and large corporate data centers considerably,” predicts Dr. Thomas Wellinger.